Nowadays, we are always worried about time, money and managing our relationships. At simplecall, we understand that striking that balance can be difficult and that is why we would like to offer a helping hand. Now you can cross all your calls to Riyadh, Jeddah, Makkah, Medina or anywhere else in Saudi Arabia off your list of worries. We have a cheap international call rate starting at 10.67¢ /min to landlines and mobiles. You can call any of the service providers regardless of whether the person you are calling uses STC, Mobily or Zain. So, next time you want to call Saudi Arabia, don’t worry about the cost or hassle of making that call – it’s simple with simplecall. To start using simplecall, just go to www.simplecall.com and register. 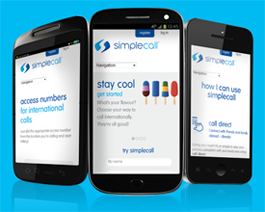 We don't just offer cheap calling rates, we go beyond that to give you a whole range of services and support when you join simplecall. Our 24/7 customer service and high quality international calling service will surely impress you. Plus, you can store your favourite number so that the next time you want to call your loved ones all you have to do is press a button and you will be connected to them directly. More than 3 million people visit Saudi Arabia for pilgrimage every year. This desert country is birthplace of Islam - one of the largest monotheist religions in the world. So, if your loved one is performing Hajj or Umrah or just visiting Saudi Arabia, then you can always keep in touch with them with our cheap calling service. Saudi Arabia is also the world's largest producer of oil. It pumps out about 11 million barrels of oil every day and the huge revenue generated by the sales of oil has mobilised the entire socio-economic infrastructure in this country.